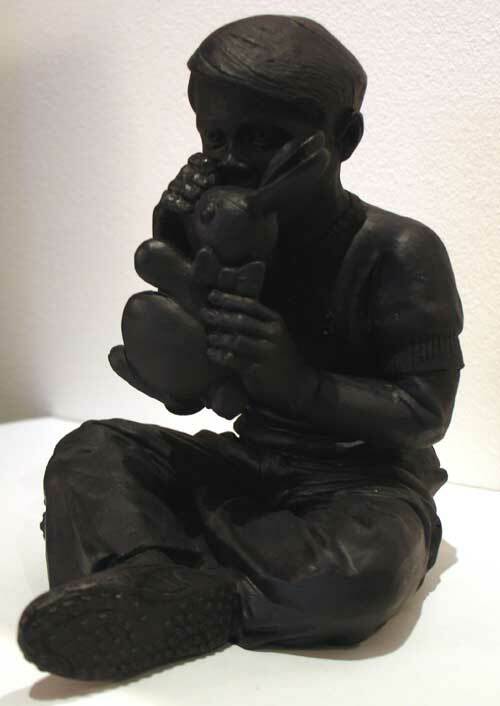 Returning to New York last week, we were pleased to see that the Faile Bunny Boy sculptures had arrived. As we mentioned back in January, working with Faile, we’ve secured 250 of the black Bunny Boy sculptures for sale exclusively on the Wooster website. 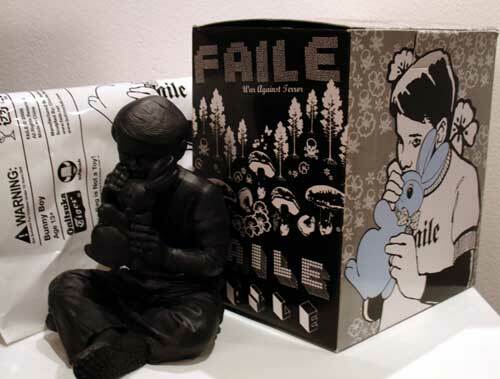 To create the sculpture, Faile has taken their iconic Bunny Boy image and cast it into a 4.5 inch tall resin sculpture, with a total production run of 2000. We started shipping them out this week. The Bunny Boy sculpture is $75 USD each including shipping and handling for all orders in the US and Canada only. Shipping to Europe is, unfortunately, an extra $50USD. If you’re interested in purchasing one, drop us an email at woostercollective@gmail.com. Once we receive your email, we’ll send you an invoice via paypal.